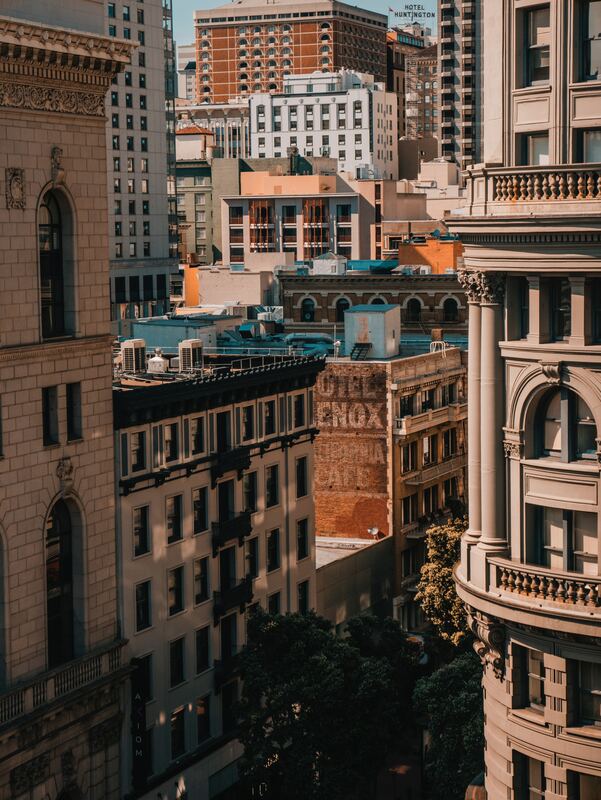 While the impetus for State Senator Scott Wiener’s proposed SB 827, which would allow apartment construction near transit lines was addressing housing affordability, the measure should also be a cornerstone of our efforts to tackle climate change. City Observatory is pleased to publish this guest commentary from Dan Jacobson, Director of Environment California. Growing up in New York City in the 1970s, I watched neighbor after neighbor flee the city for the suburbs. Even in California, where I’ve lived for the last two decades, there was a time not long ago when cities were on the down and out. San Francisco, for example, lost an eighth of its population between 1950 and 1980. In those days, most of us didn’t know about global warming. And we certainly didn’t know that the exodus from our cities to a suburbia connected by highways and gas-guzzling vehicles was helping to fuel climate change. In compact, walkable neighborhoods connected by transit, people can travel less every day – and do more of their travel without a car. The good news: these are neighborhoods people increasingly want to live in. The bad news: in part because so many people want to live there, they have become extraordinarily expensive. Housing prices in many California cities have become unreachable for most of us. The median home price in San Francisco is now $1.5 million. Housing prices in Southern California have blown past their bubble-era peaks. Because affordable housing is limited, the number of “supercommuters” traveling hours to and from work each day is on the rise – in Stockton, roughly one out of every 12 workers reports traveling 90 minutes or more to work each day. Stories of people sleeping in cars abound. None of this is good for our environment. And the problem gets worse each year. But we can solve it. And we can start by expanding the amount of housing available in neighborhoods near public transportation. A 2017 study by researchers at the University of California, Berkeley, estimated that “infill” housing built in neighborhoods already near transit could reduce greenhouse gas emissions by nearly 1.8 million metric tons per year by 2030. Local opposition, however, often makes the addition of dense or multi-family housing to existing neighborhoods difficult. Long-time residents of a neighborhood may worry that new development will change the character of the place they love. Low-income residents may fear that new development will bring gentrification and displacement. Everyone thinks that new development in their neighborhood will make traffic worse, and that by blocking new housing they can avoid the problem. Here’s the catch, though: as a result of those local objections, housing is not being built in the places where people want to live … which are exactly the places where we have the best chance to slash the number of miles we drive, the amount of gasoline we burn, and the climate-altering pollution we put into the atmosphere. Ironically, the collective effect of everyone trying to reduce traffic in their neighborhood is to generate even more sprawl, increasing traffic and car dependency. Solving these 21st century problems will require that we all value our larger collective self-interest above our more localized fears and desires. This will be true across the board – and we have to start somewhere. Why not at the intersection where two of our biggest problems converge? SB 827 was one of the first pieces of legislation to deal with the linked challenges of climate and housing with the urgency the problems deserve, at a scale that just might work. Despite its failure to become law, SB 827 catalyzed a statewide, and even national, debate. Now, it is up to all of us to come together behind solutions that can create places where every Californian – newcomer or old-timer, rich or poor – has the opportunity to live a low-carbon lifestyle in a neighborhood they love. This post has been updated to correct a typographical error.